Vasu...'all our products are fully accredited as per green building standards'. 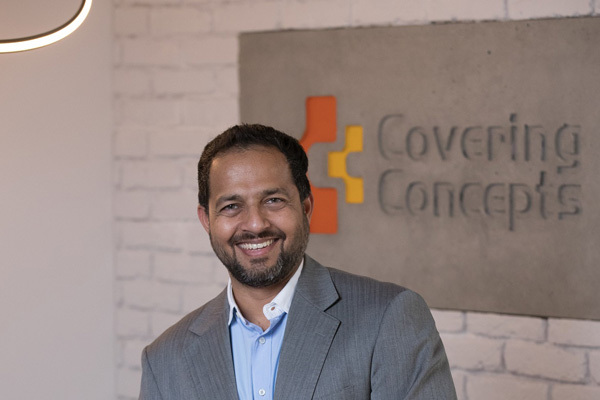 A bespoke interior finishing company, Covering Concepts has announced the launch of its design studio at Dubai Design District with the aim of capturing a share of the growing GCC interior fit-out market, valued at approximately $18 billion. Covering Concepts will offer a wide range of premium flooring and wall design solution for both residential and commercial projects. The company has partnered with several well-known European brands, such as Havwoods, Wineo, Shinnoki, Querkus, Ravaioli Legnami, Paviflex and Softcare – bringing their artistic and eco-friendly products to the region. In addition, Covering Concepts will work with talented local and international designers to offer an end-to-end solution for their customers.